This is a fact that various types of foods can help in boosting your memory. Many foods are enriched with certain important chemicals such as phytochemical or anthocyanins that have proven health benefits for our brain. Here are some foods that may help you in improving and boosting your memory. It is found to be helpful in enhancing your memory. Incorporate it into your diet in moderate quantity and you will find improvement in your memory function. Lean beef helps in boosting memory because of the presence of iron content in it. Those people who eat only chicken should also include lean beef in their diet as iron deficiency have been found to have a big impact on the function of the brain and impair the learning abilities as well. Eggplant is a big source of anthocyanin. It also encloses nasunin, which is an antioxidant that guards the lipids present in brain cell membranes. Almost all kind of berries are healthy for our body, but blueberries are particularly memory-boosting fruit and these are also considered memory powerhouse. They are regarded as a memory food in fact because they have a phytochemical that is particularly essential in reversing the age-linked decline of the memory while keeping a positive effect on spatial functioning memory. 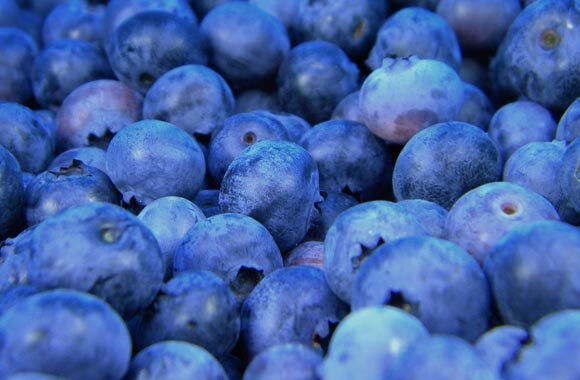 Over and above, blueberries are low in the glycemic index as well thus making them a fine fruit option if you are attempting to manage your blood glucose level. Apples enclose high storage of quercetin, which is an antioxidant that has been found to guard against Alzheimer’s disease. Though it is also present in the apple’s pulp the high level of quercetin is present in its skin. Red colored apples also possess anthocyanin in their skins. Due to the presence of Docosahexaenoic acid (DHA) or omega-3 fatty acids in fish and fish oil, these are considered best for brain health. DHA has known functions for the brain, as it is the part of the cerebral cortex. It is found out that low levels of DHA have been associated with high risk for memory loss and Alzheimer’s disease. Fish also possesses iodine, which is established to perk up mental lucidity. Blackcurrants are good for brain and memory as they consist of vitamin C which is known to enhance the mental agility. Blackcurrants are also considered best sources of vitamin C.
Pumpkin seeds consist of zinc, which is important for improving memory as well as the thinking skills. A research printed in the American Journal of Epidemiology proposes that a eating of the required level of vitamin E may help to stop poor memory. Nuts are found to be one of the great sources of vitamin E together with eggs, leafy green vegetables, brown rice, whole grains, and seeds. Extra-virgin olive oil comprises oleocanthal which is found to protect the brain from the toxic proteins present in the brain. In this way, it protects the nerves of the brain from damage and thus improves memory. The key to maintaining your mind sharp is maintaining your body healthy. You can do it by keeping your nutritional choices simple yet healthy. Health benefits of pomes fruits.